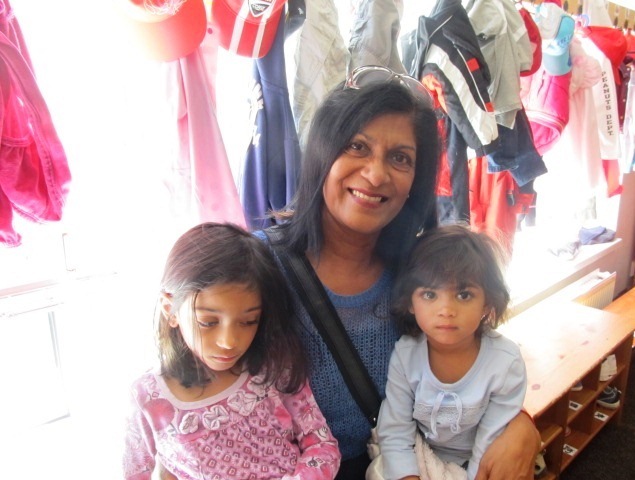 My name is Shiwana and I am from South Africa, from Johannesburg. I came to Brno for a few months with my daughter and her children. I have to say that I am very glad to be here in Brno. Life is very different but I really love it. I am looking after my grandchildren here. Every day we travel by a tram because I am taking them to pre-school. Although for Czechs travelling by tram is something rather ordinary, maybe even boring, for me it is very exciting because in Africa we only travel by car. People in Brno, especially at the pre-school my grandchildren attend, are very friendly. I will miss them a lot. Here in Brno I am trying to spend as much time as possible with my family and – above all – with my grandchildren. That is why I truly appreciate various activities our Ponny English Pre-school prepares for kids and their parents. For example my older grandchild called Kiara loved a special overnight activity called Kangaroos and Tigers. Because she´s already a big girl, unlike her little brother who is not 3 yet, she could spend a night at preschool. From Friday to Saturday, she could enjoy her first and special ´night out´. With her friends from pre-school they had a lot of food and drink, played games, danced and sang songs. She had never slept somewhere else before. It was a great opportunity for her and for us as well. She enjoyed it a lot and she did not want to go home. Being foreigners, my grandchildren and I also enjoyed a lot both international and typically Czech Easter traditions. We were egg-hunting in the morning and thanks to the teachers from the pre-school we also tried traditional techniques of decorating and dying eggs, baking and decorating Easter lambkin cake, making a pinwheels and solving puzzles. I really liked this morning as it was my first time to do this kind of activities with my grandchildren because we do not celebrate Easter in Africa.